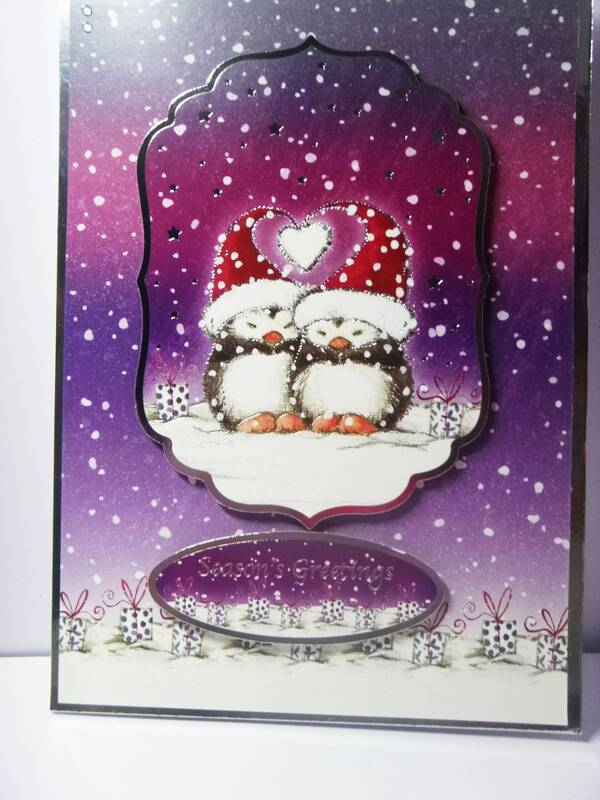 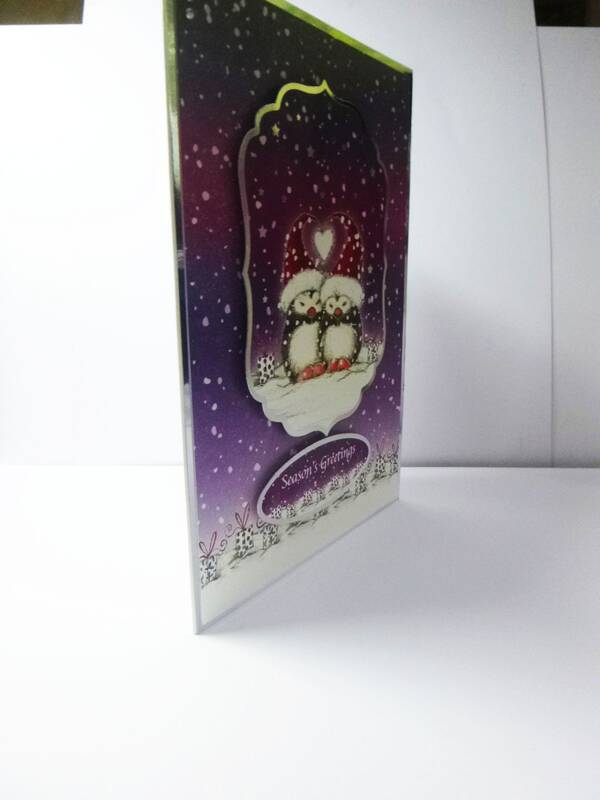 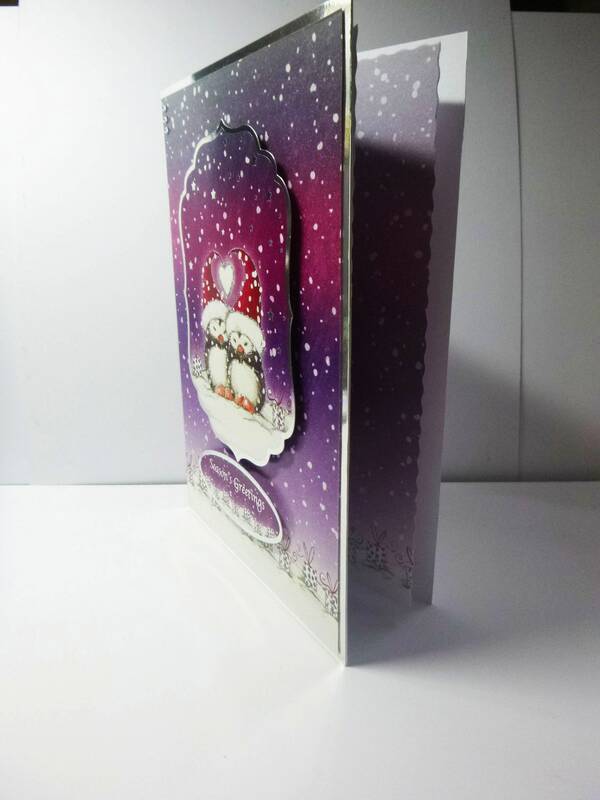 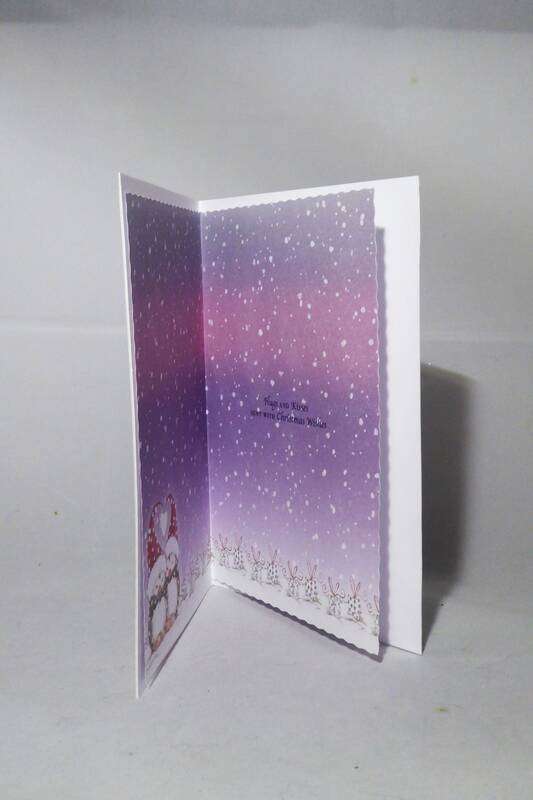 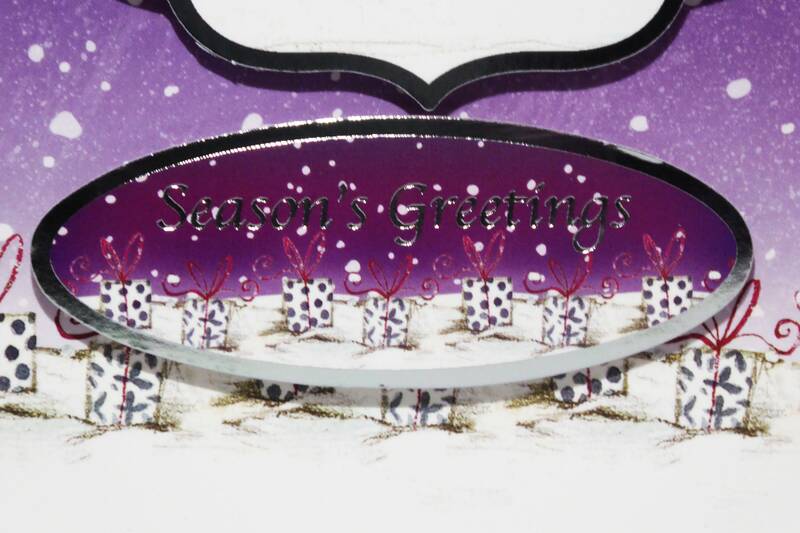 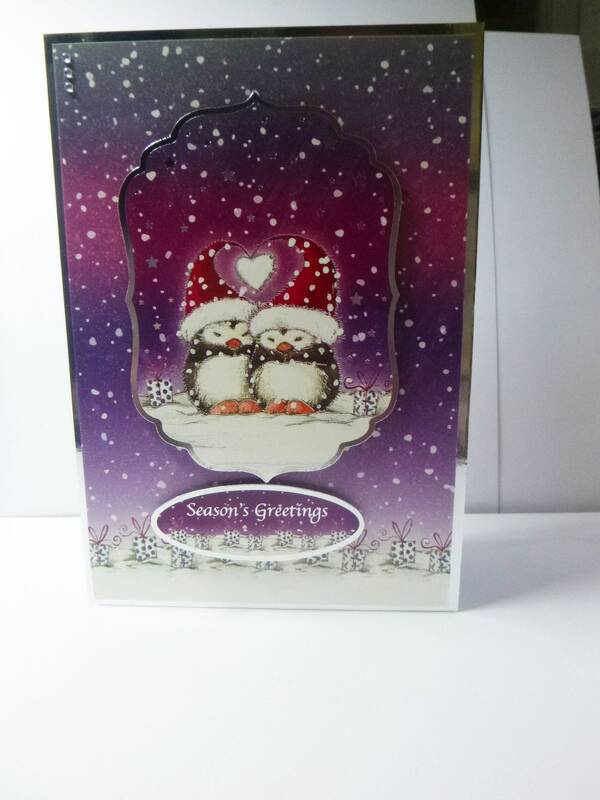 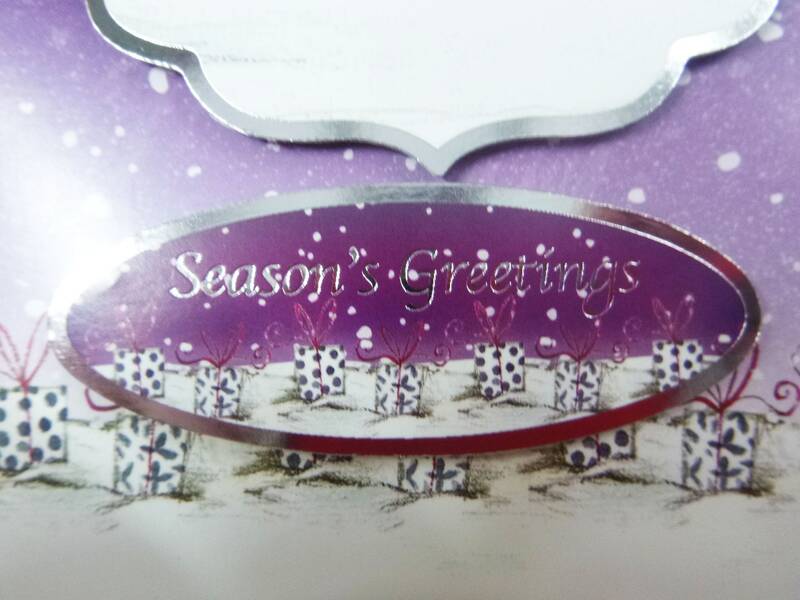 A cute Christmas card, made from white base card, layered with silver card and patterned card, with a shaped topper in the centre of the card, below is a sentiment which says,' Season's Greetings '. 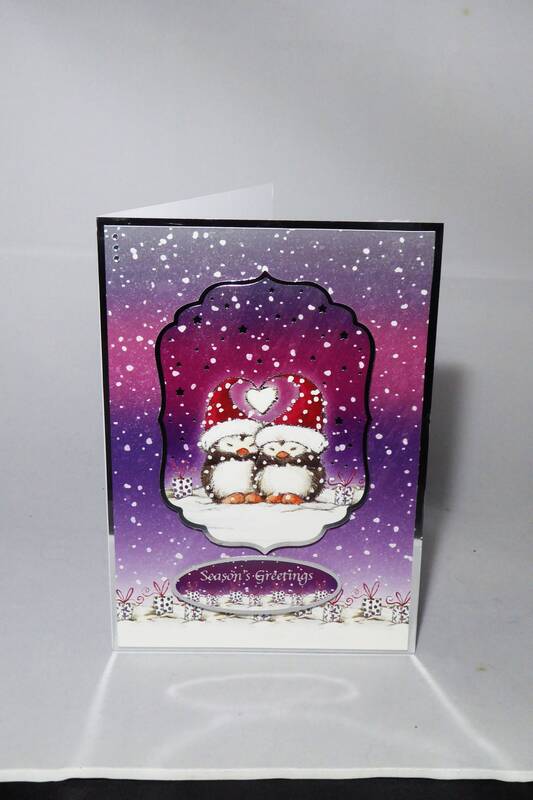 At the top left hand corner of the card are 3 crystal embellishments. 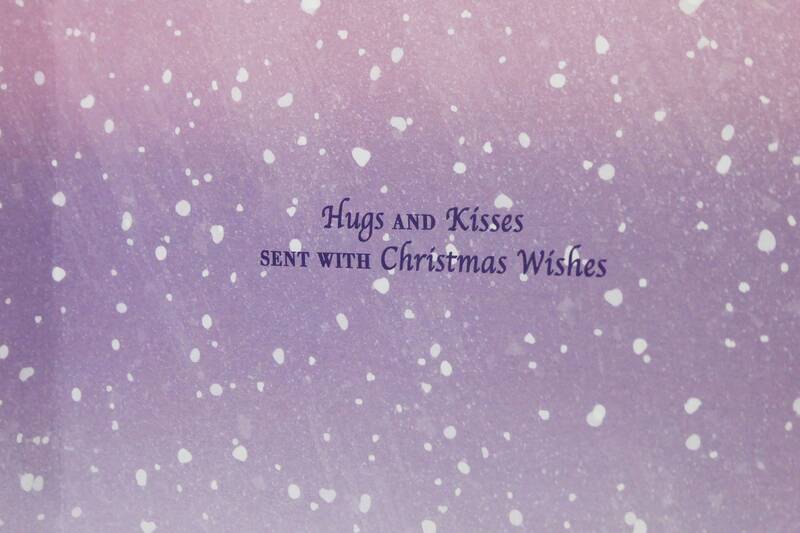 Inside the card is matching insert paper with the words,' Hugs And Kisses Sent With Christmas Wishes'. 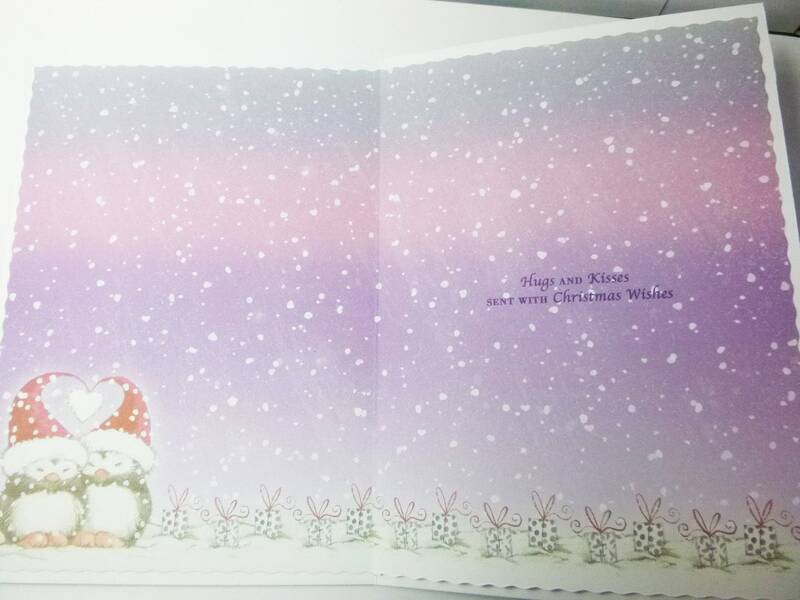 Really lovely card , fast dispatch Thank you!